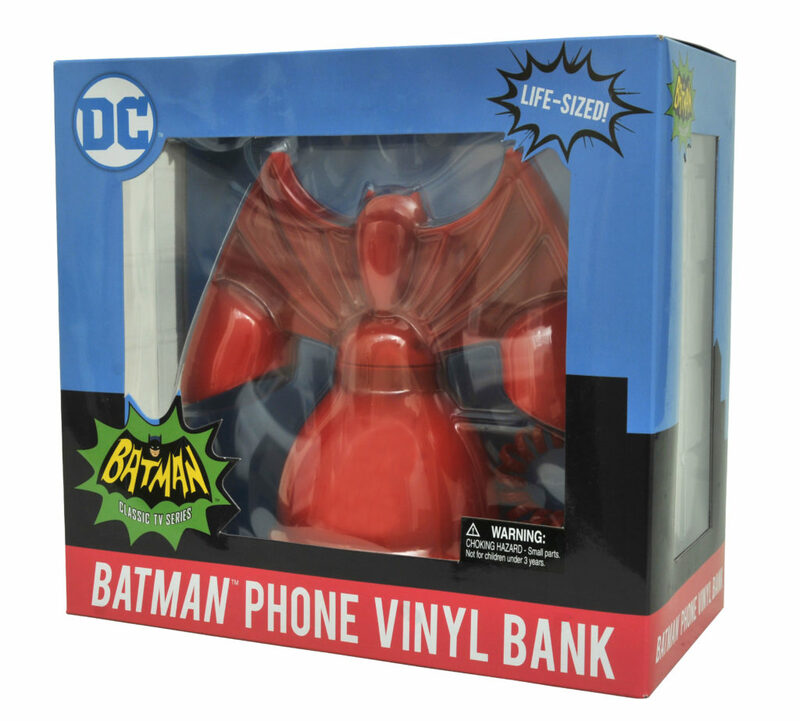 This life-sized vinyl bank, based directly on the red phone seen in the Batman Classic TV Series, may not connect you with Commissioner Gordon, but it will hold your loose change, thanks to a slot in the top and an access door in the base! 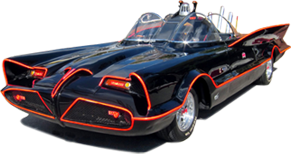 Use it to save up for that Batmobile you’ve always wanted! Packaged in a full-color window box. 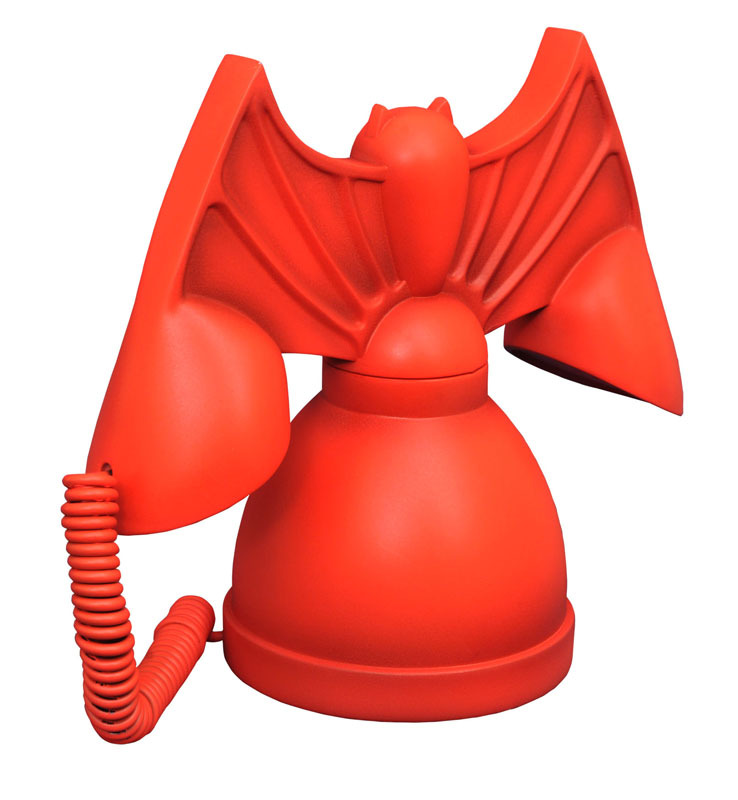 $29.99 and available now at online retailers. Designed & Powered by DesignCo Marketing, Inc.